Maintaining an aquarium can be a lot of work and take a considerable amount of knowledge and expertise to avoid ending up with a disaster. 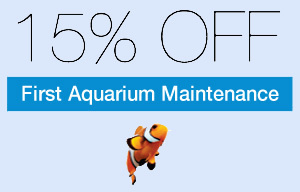 Consistent and considerable maintenance is required for a healthy and pleasant looking aquarium. I have years of experience maintaining both freshwater and saltwater aquariums and I am glad to provide aquarium maintenance services to Saint Louis and the surrounding areas. I provide all the aquarium maintenance services that you may not have the time, energy, or knowledge to perform yourself. I am a professional and trustworthy individual who installs and maintains aquariums because aquariums are my passion. 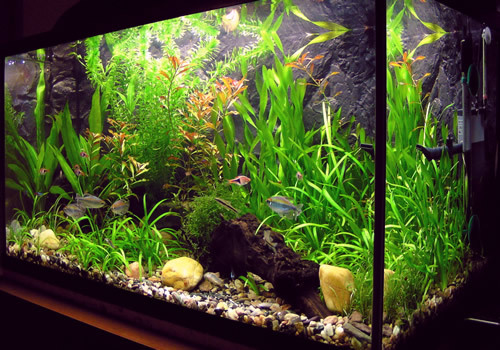 I have been keeping aquariums for over 20 years and have a great deal of both saltwater and freshwater experience. I have kept and maintained every type of aquarium from fish only freshwater and saltwater tanks to planted aquariums and mixed reef coral tanks. Your tank will be handled with extreme care, because I treat every tank like it's my very own. In turn, not only will you be pleased, but so will your fish! Perfect for any living space, game room, basement, “man cave”, etc. Absolute Aquarium Services maintenance plans allow you to enjoy your aquarium without the hassle of keeping up with necessary water changes and balancing proper water chemistry for all aquarium inhabitants to thrive. In addition to your tank being cleaned inside and out, our clients also receive algae scraping/decor detailing, detritus/waste removal, filter media changing or cleaning, *filter equipment checkups, *lighting checkups, fish and invertebrate *health assessment, as well as a 15-25% water change on a routine basis. Clients will receive added assurance of the water quality of their tanks with our water quality awareness form left with you. Regular testing and recording of nitrates, PH, salinity, temperature, phosphates; and as needed: calcium, KH, nitrites, ammonia. Along with our maintenance plan, clients will benefit from our food packages that will specifically target our client’s livestock and can be included in your quote for as little as $10 a month. 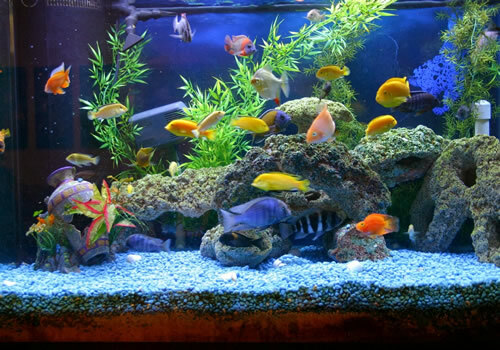 Absolute Aquarium Services will *install, *set-up or *relocate any of our client aquariums.